Israeli Combat Pistol is based upon the Instinct shooting method; it can also be called Israeli Point Shooting. The Instinct shooting method is nothing new; it s origins can even be traced back to the age of bows and arrows. Tactical gurus such as William E. Fairbairn, Eric A. Sykes and Rex Applegate promoted Instinct shooting in their FSA (Fairbairn, Sykes and Applegate) shooting method back in the 1930s and 40s. You can also see the Instinct shooting method in 1944 US Army pistol training videos. 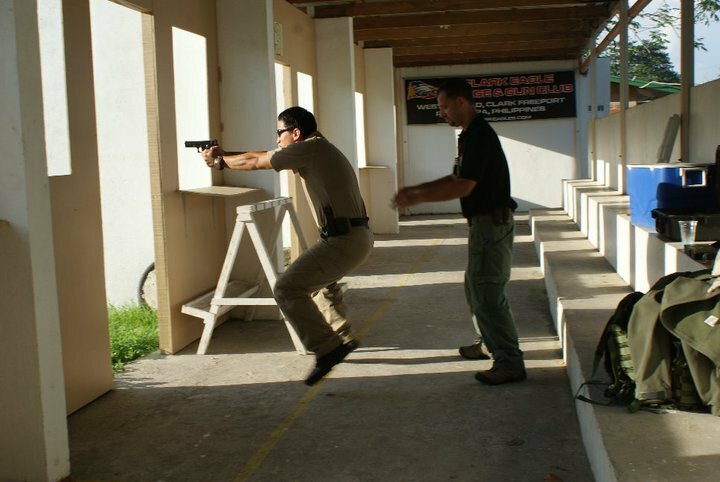 Later on, most US Military and Law Enforcement (LE) agencies promoted the use of sight in their pistol training. However, lately Instinct shooting has shown a comeback in the US. Chris Costa demonstrated some form of Instinct shooting in his Magpul training videos. Israel has always been adapting point / instinct shooting for their LE & MIL personnel (Shakbak, Mossad, IDF….) for years. Part of the reason might be because it is a much cheaper and easier method compared to other methods. It is also very fast to use. Compared to the American shooting method, Instinct shooting is very rough and simple, but rough and simple is what will stick in your mind in the heat of combat. Israeli Point Shooting emphasizes using shooters as a moving platform, which can acquire targets quickly, shootingwith both the strong hand and weak hand, and using the extra hand for other tasks such as protecting VIPs. This course will be conducted with bluegun and airsoft gun. 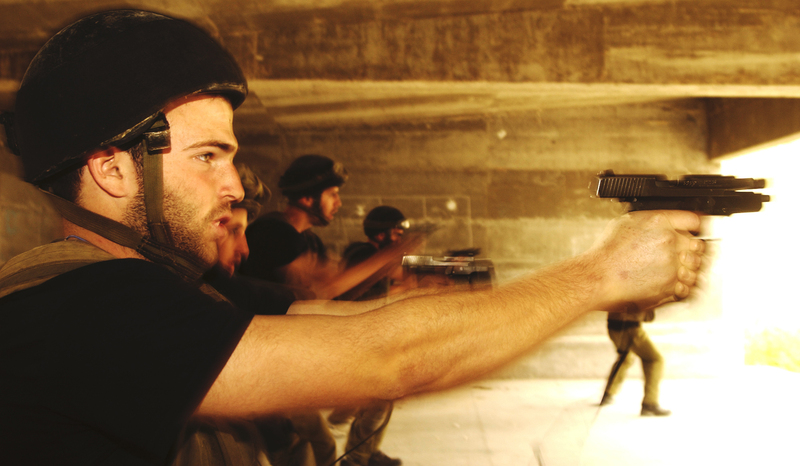 Only in Level02 Israeli combat pistol students will use real firearms. In this course, it is not merely about shooting but learning how to deal with dynamic situations with firearms. Borhan Jiang is an active CDN Army reservist and professional Krav Maga, shooting and TASER instructor. He is also a columnist for Taiwanese & Hong Kong Military publication TARGET and Defense International. Warren’s perspectives on SPARRING !